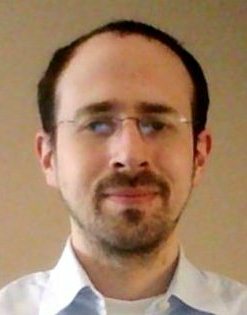 Dr. Ian Jacobi, who officially joined us in 2012, will be returning in October 2014 from a two-year postdoctoral research period in Prof. Howard Stone's research group in the Department of Mechanical & Aerospace Engineering at Princeton University. He received his S.B. degree in chemical engineering from the Massachusetts Institute of Technology, and his M.S. and Ph.D. in aeronautical engineering from the California Institute of Technology where his research was supervised by Prof. Beverley McKeon. Ian's primary interest is the fundamental physics of wall-bounded turbulence. By studying the structure and dynamics of turbulent flows experimentally, new physics-based flow control strategies can be developed. In particular, he seeks better understanding of the relationship between large- and small-scale coherent structures in turbulence, and their dynamic behavior in practical flows. In addition to classical problems in turbulence, Ian's work seeks to connect the world of microfluidics to large-scale flows, by employing microfluidic devices and micro-scale surfaces as diagnostic and control systems for macro-scale fluid systems.